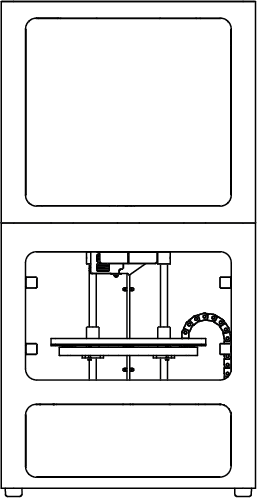 Push in the black Push-To-Connect fitting to release the plastic filament feed tube. 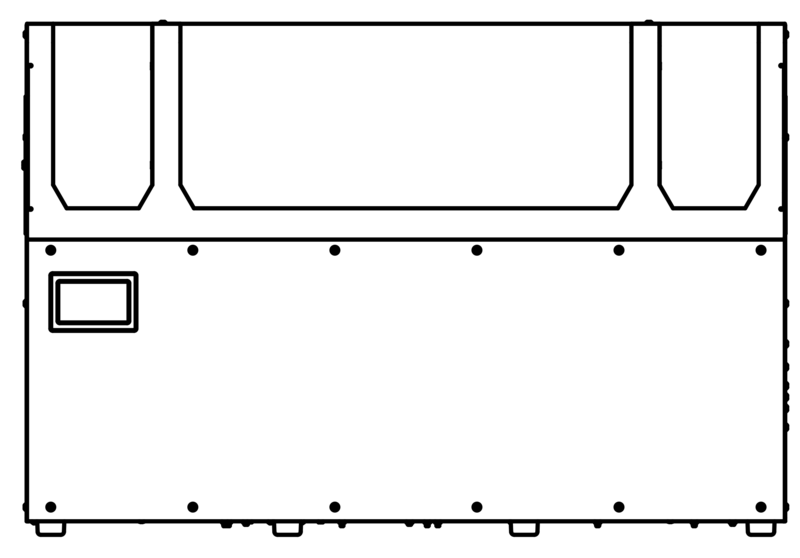 Pull the feed tube from the Push-To-Connect fitting to expose the plastic material and use a pair of cutters to cut the plastic at a 45 degree angle. 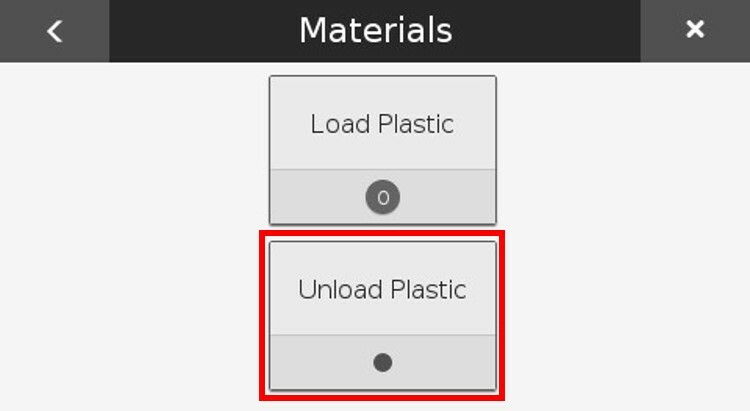 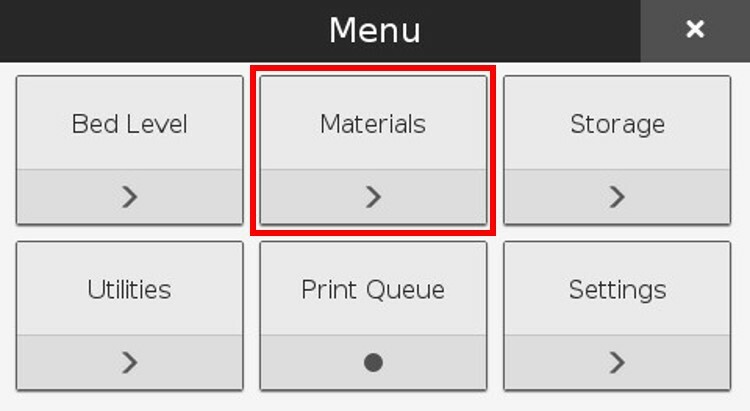 Select the "Unload Plastic" tile to run the unload plastic routine. 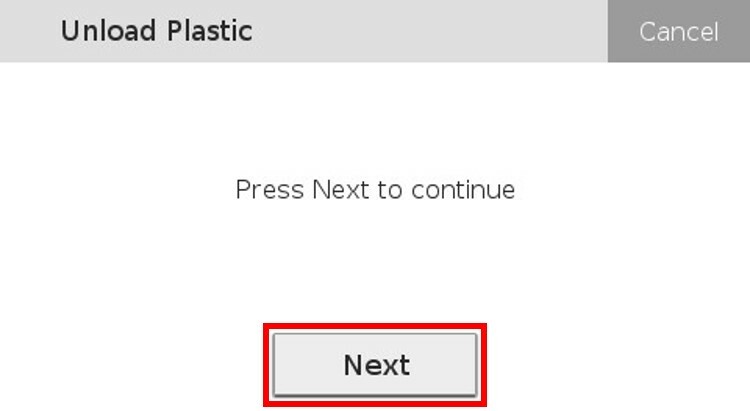 Press "Next" to continue, when prompted. 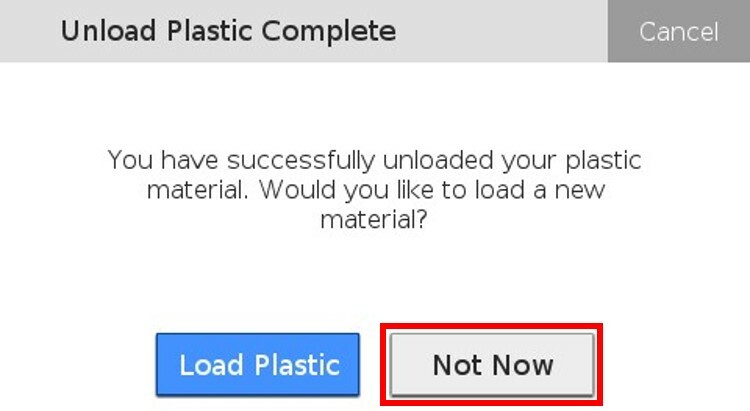 Take hold of the cut plastic material and help direct it free from the plastic extruder. 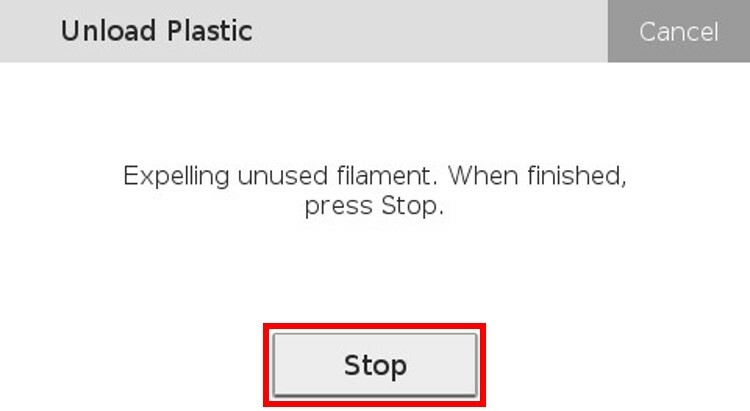 Press "Stop" on the printer's touch screen when the plastic has been completely unloaded. 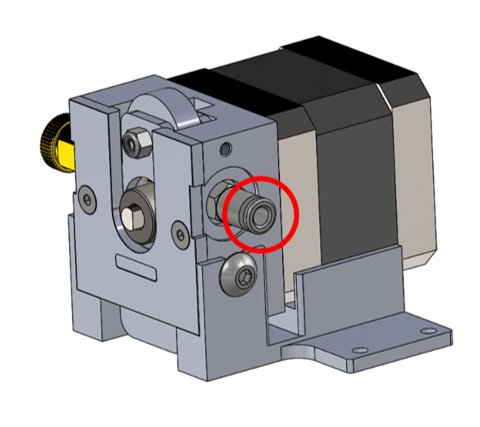 Note: The extruder may click loudly when the plastic is extracted all the way. 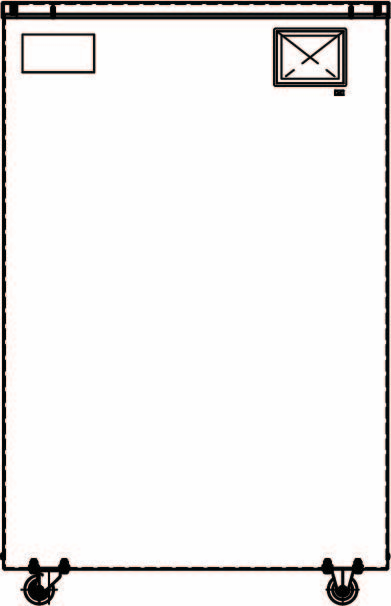 This is normal. 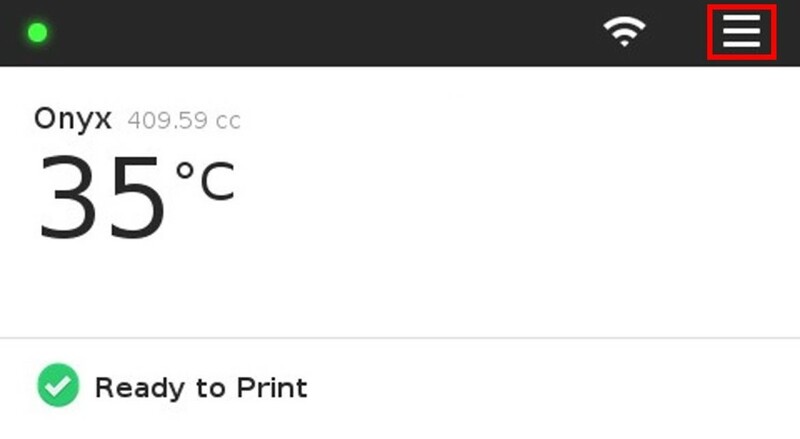 Press "Next" on the printer's touch screen to continue with the routine. 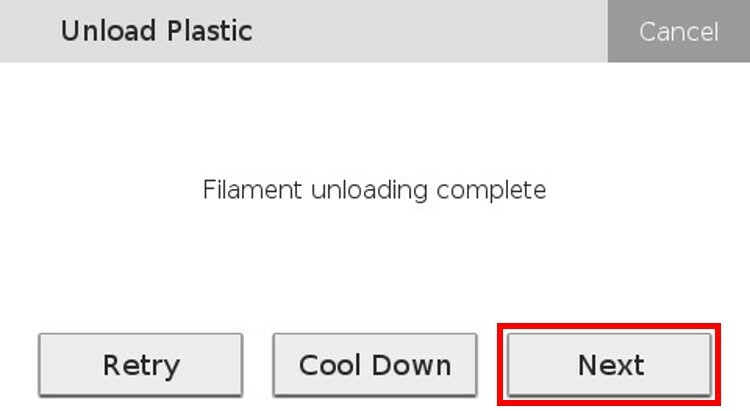 Press "Load Plastic" to load a different spool or "Not Now" to exit the routine.